PUBLIC HEARINGS – Protect Water for Future Generations. Important things going on in NW Nebraska, right upstream from the Pine Ridge Reservation! Contact the e-mail or fax number below for the Atomic Safety and Licensing Board and say you want to make an oral statement on the potential expansion of Cameco’s in situ leach uranium mine. Your input is needed. Deadline of October 12, 2018 to submit a written requests to make an oral statement. Do people want to make oral statements to the hearing record before the actual hearing on Oct. 30? An oral limited appearance session regarding the MEA ISR proceeding will be held on Sunday, October 28, 2018 (if there is sufficient interest). From 2:00 p.m. to 4:00 p.m. MT, at the Scottsbluff Room, Chadron State College Student Center, 1000 Main Street, Chadron, Nebraska. Based on its review of the requests received by October 12, 2018, the Licensing Board may decide that the Sunday afternoon session will not be held due to lack of adequate interest in that session. Written requests to make an oral limited appearance received after Monday, October 12, 2018, will be honored to the extent practicable. Remember last year in the Spring of 2017, when there were public hearings and public comments on the Environmental Protection Agency’s draft permits for the proposed uranium mine in Custer and Fall River Counties? One permit would allow the company (Powertech/Azarga) to mine in the Inyan Kara aquifers, and the other would allow the company to pump its waste water into the Minnelusa aquifer. Over 700 people attended the hearings, and 1500 pages of comments were filed. The public testimony and comments showed overwhelming public opposition to the draft permits — over 90 percent of those who commented. We expect the EPA to put out its decision at some point. It could be next week. It could be next year. But what’s important is that everyone stays aware of this process. And talk to your networks about the EPA and the situation. When the decision is made, we will need to be ready to respond.Everyone should also be aware that, even if the EPA issued two permits in final form, the company would have only 3 of the permits it would need to begin mining. The company would still need an additional 7 permits. It has taken them over a decade to get one permit — the one from the Nuclear Regulatory Commission (and that’s under a lawsuit). 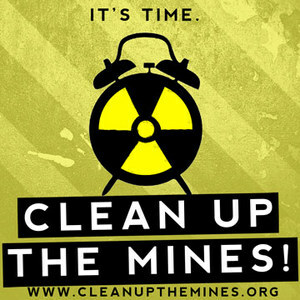 PLEASE WRITE TO THE EPA TO LET THEM KNOW THAT URANIUM MINING IS NOT IN OUR BEST INTEREST OF OUR NATION. The EPA Public Comments period has been extended to June 19, 2017 by midnight MST. LET’S VOICE OUR CONCERNS AT THE NATIONAL LEVEL ALSO. The EPA Public Comments are Due June 19, 2017 by midnight MST. The U.S. Environmental Protection Agency Region 8 is requesting public comment by June 19, 2017, on two Underground Injection Control (UIC) Draft Area Permits and one associated proposed aquifer exemption decision for the Dewey-Burdock uranium in-situ recovery (ISR) site located near Edgemont, South Dakota, under the authority of the Safe Drinking Water Act and UIC program regulations. The Dewey-Burdock site is located in southwestern Custer County and northwestern Fall River County, on the Wyoming/South Dakota border. Use our pre-messaged public comment card to print, sign and mail or fax, or just copy and paste the text below and email it to the EPA at Valois Shea (shea.valois@epa.gov). Old uranium mines in the Dewey-Burdock area should be fully reclaimed before newmining is permitted. Adequate oversight of the quality of liquid wastes pumped into the Minnelusa Formation through the proposed deep disposal wells will be impossible, and our groundwater is likely to be contaminated. A full survey of cultural and historical sites is needed before mining or deep disposal is allowed. Cultural and historical sites must be protected. The proposed mine and deep disposal wells are in an area that is documented to have faults, fractures, breccia pipes, and over 7000 old boreholes that have not been properly plugged. It will be impossible to contain mining fluids or waste liquids, and contamination of our groundwater is very likely. The history of uranium mining indicates that uranium mining cannot be done without creating and leaving contamination. This project should be stopped until it can be proved to be safe, rather than relying on imperfect protection and clean-up processes. Let your voice be heard in Washington, DC that enough is enough. the aquifers, lakes, and tributaries. WATER IS LIFE! Thank you for protecting our water for future generations.